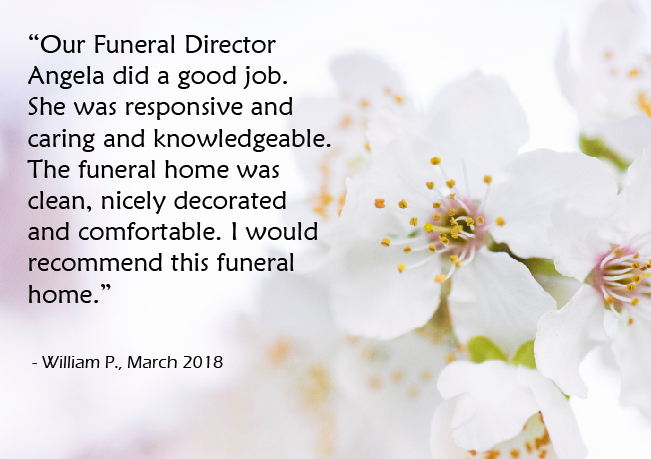 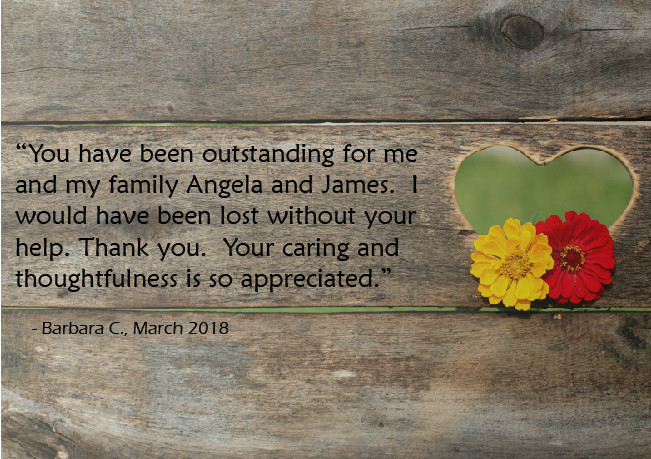 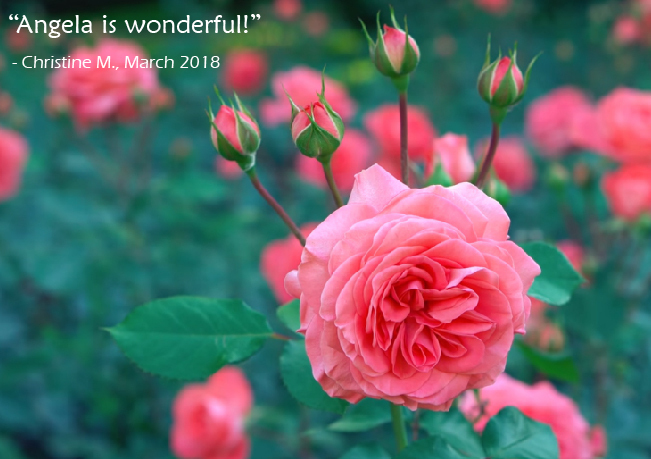 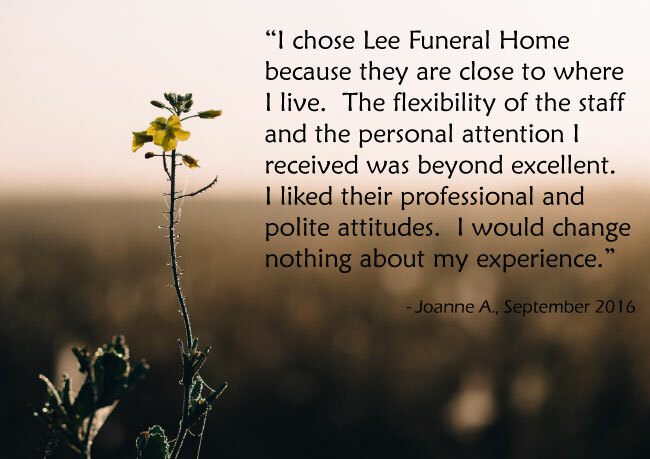 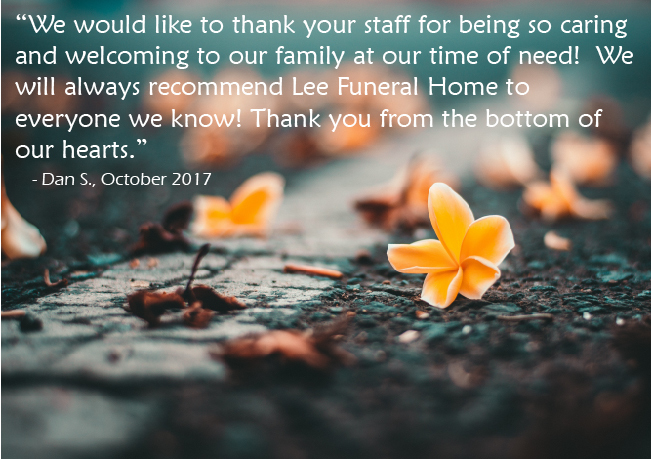 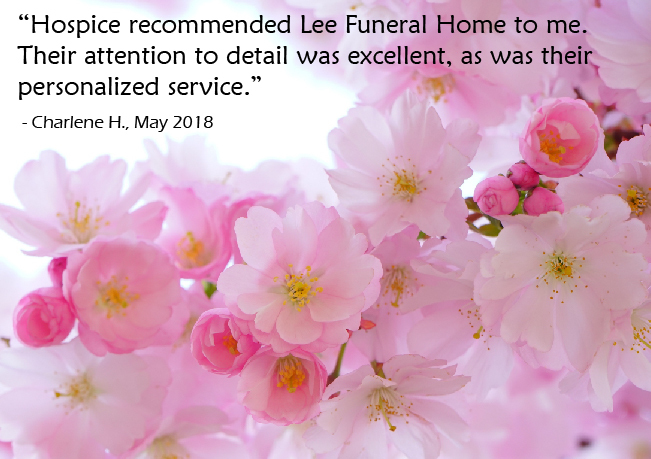 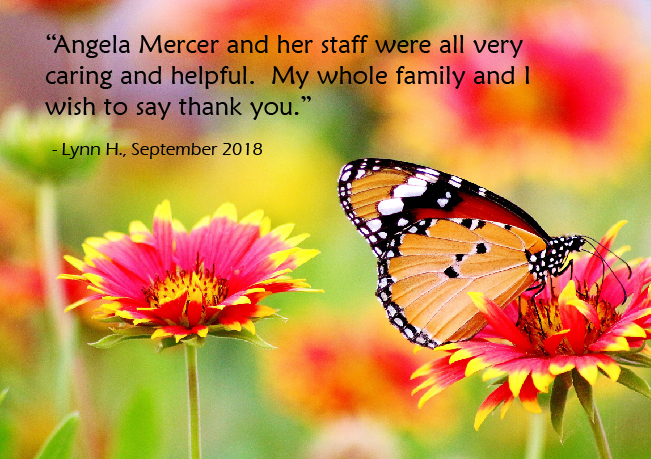 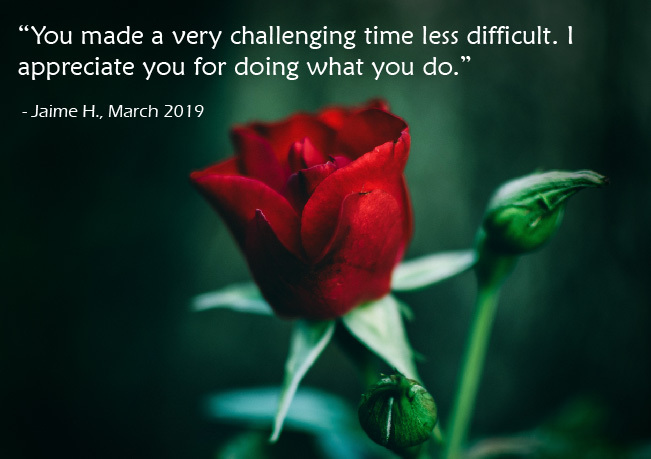 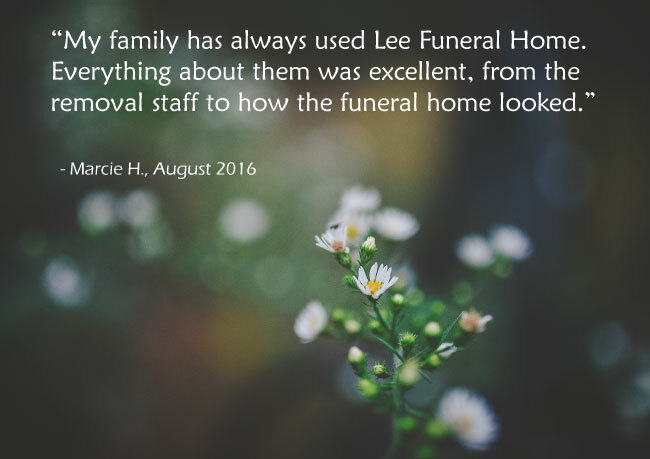 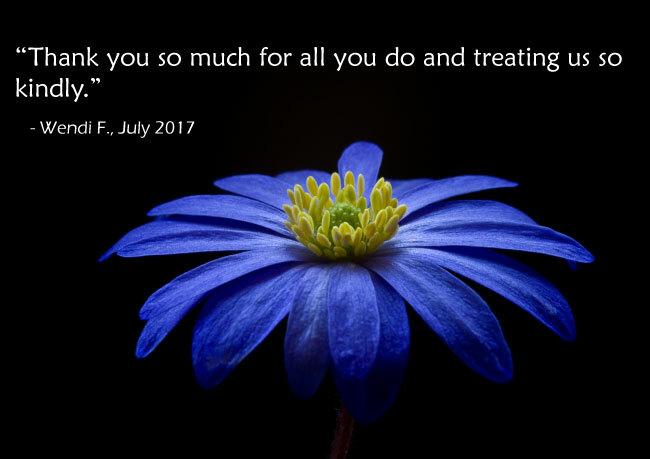 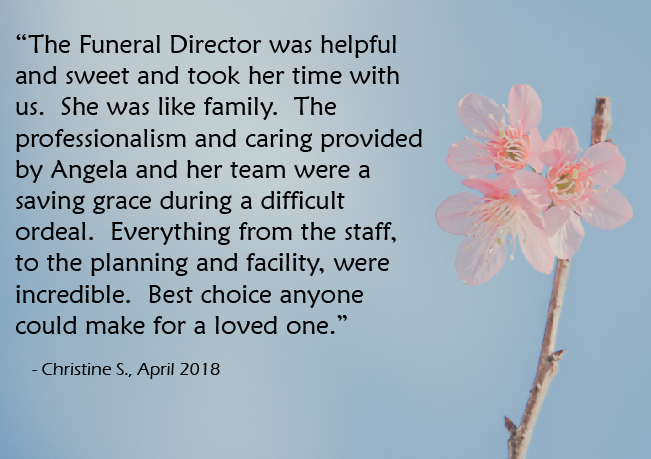 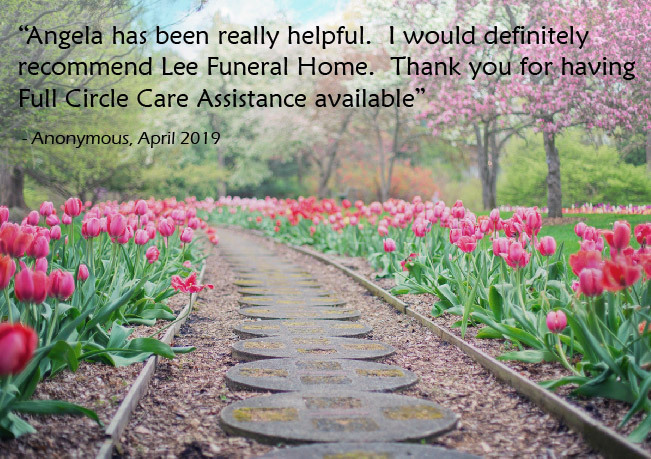 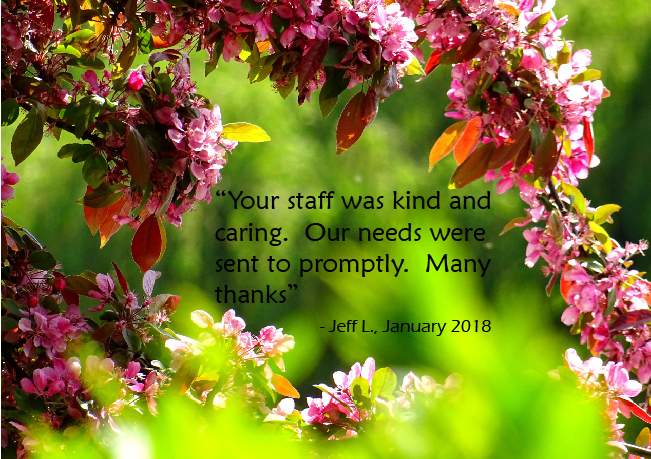 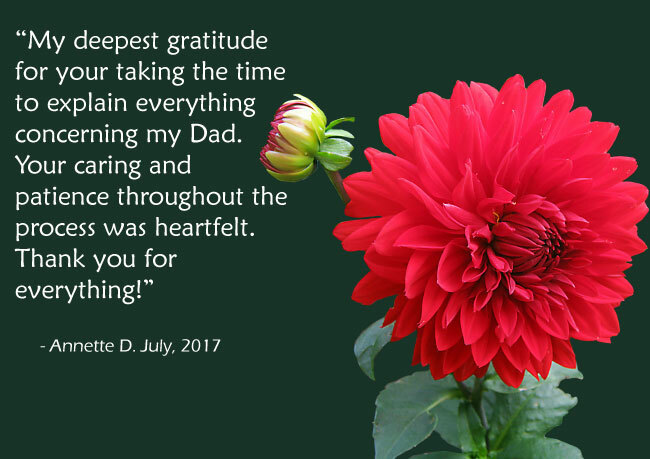 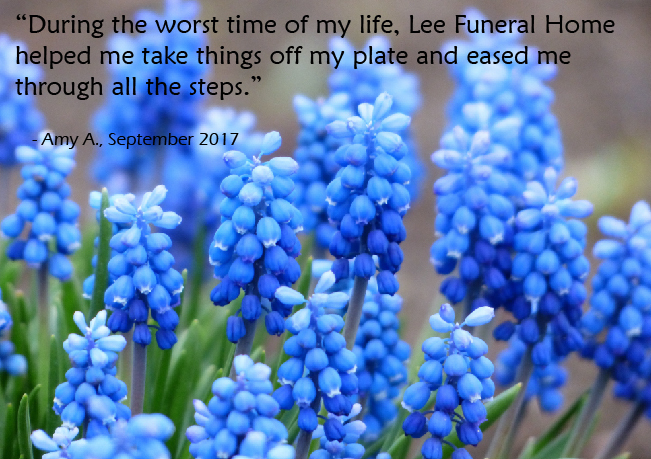 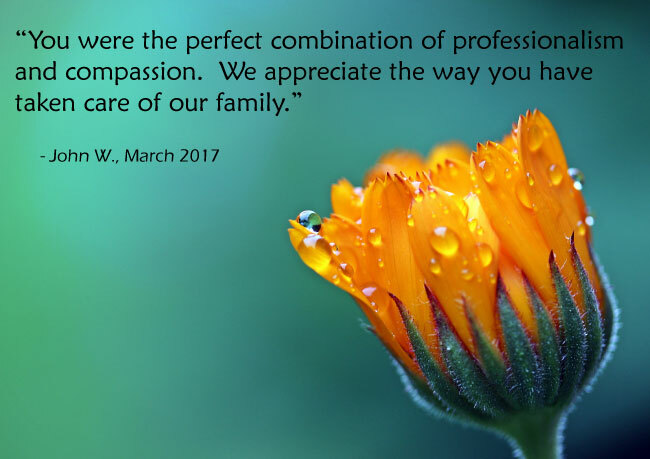 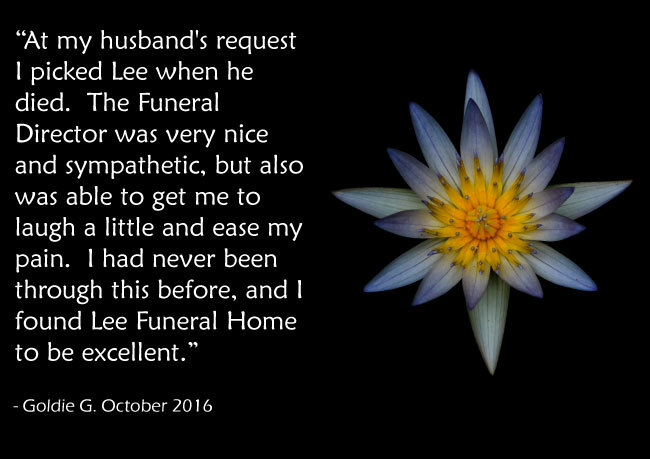 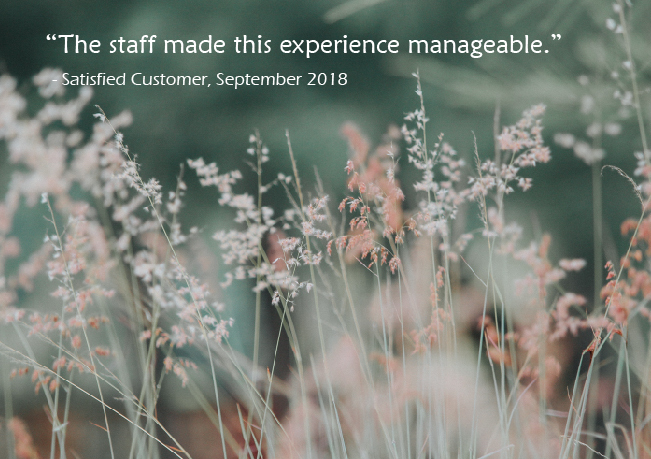 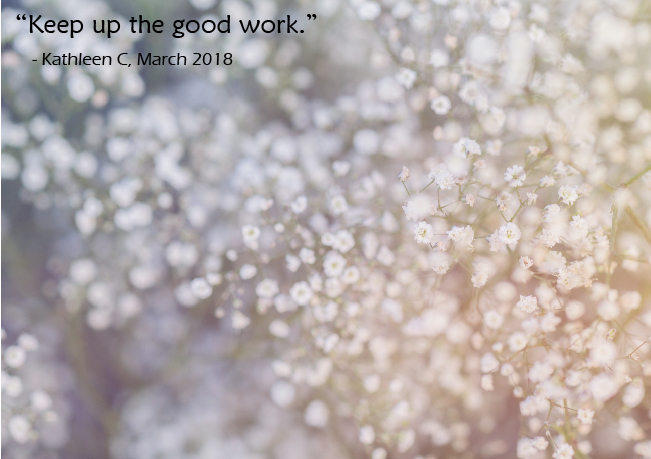 Lee Funeral Home & Cremation Service is a family owned and family operated business with over 40 years experience, faithfully serving Pahrump since 2002. 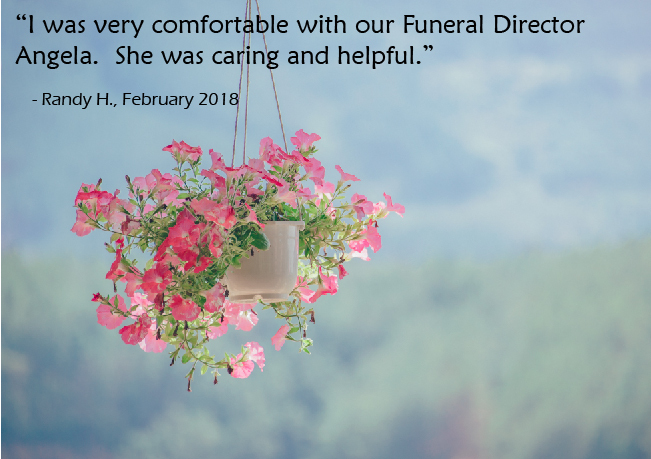 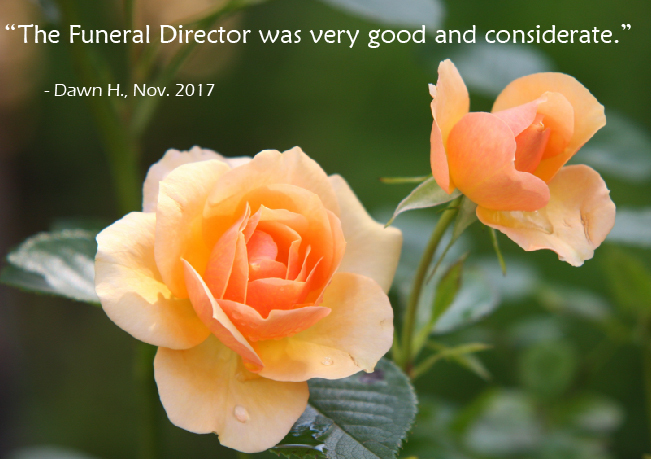 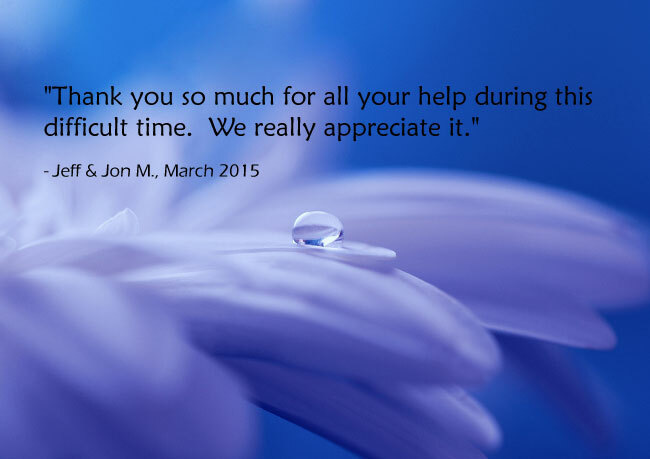 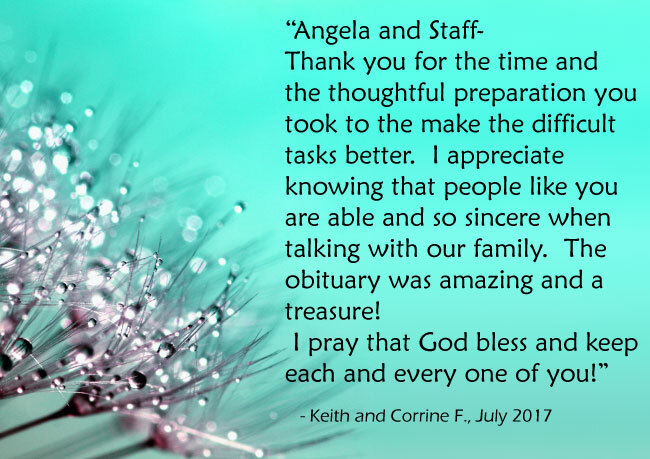 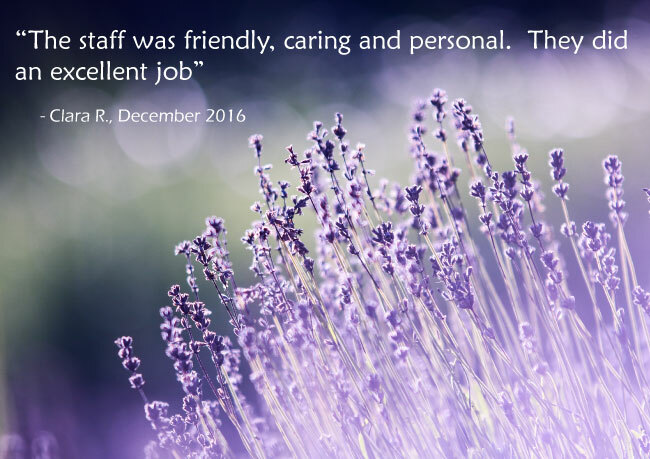 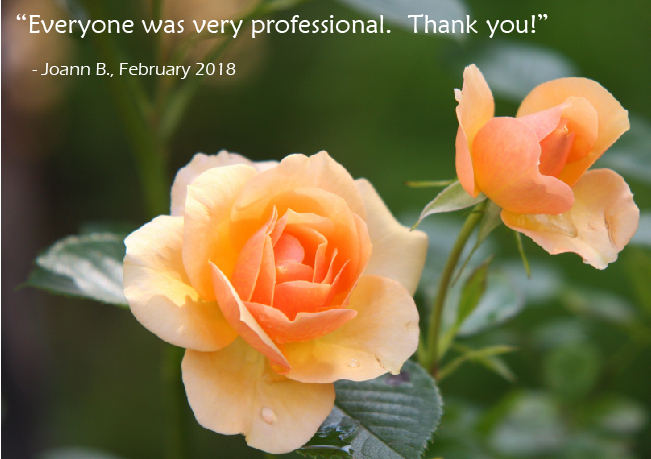 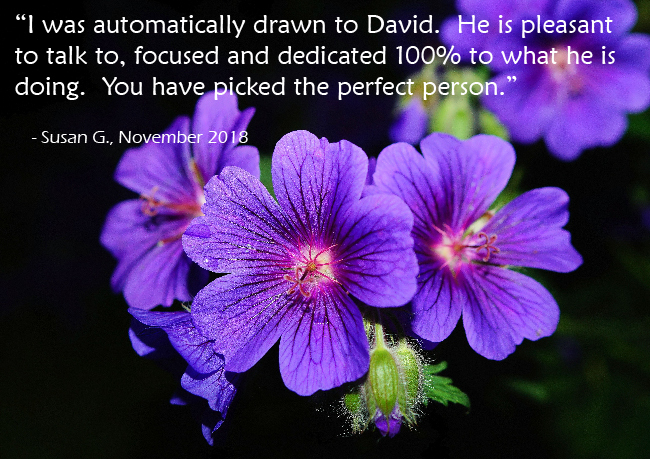 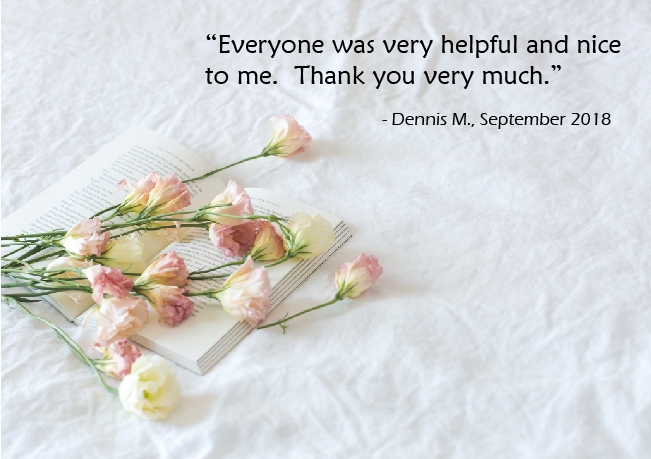 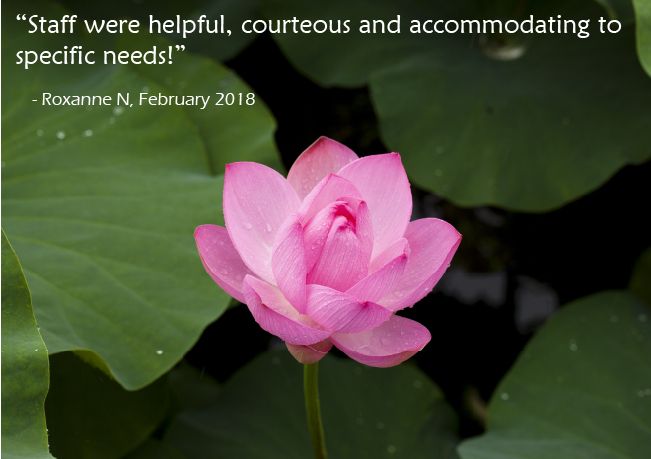 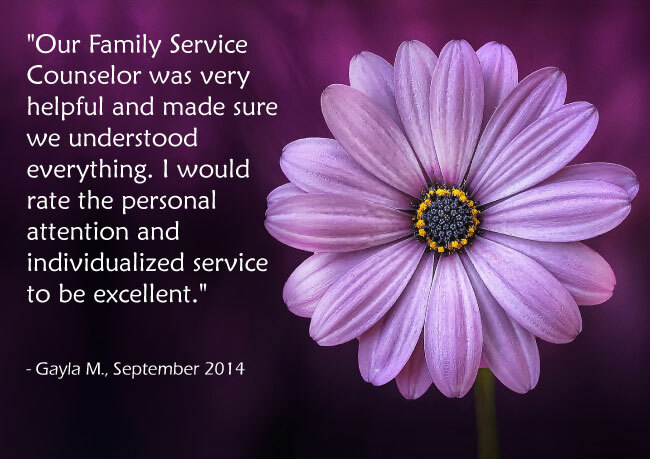 We are here to assist you in planning everything from the simplest cremation to the most traditional funeral. 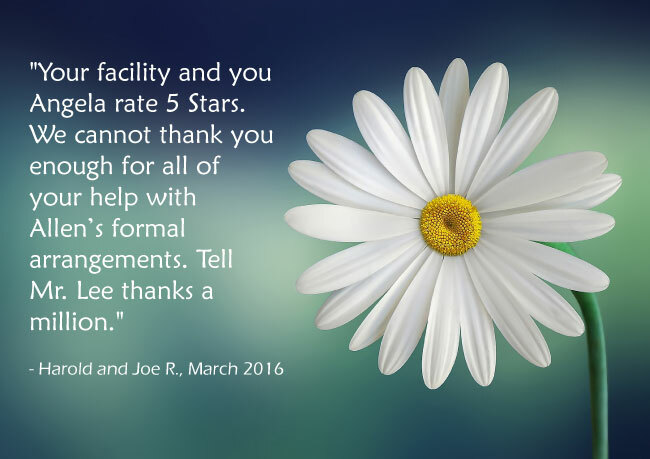 Please start by visiting our General Price List for complete details on policies and prices. 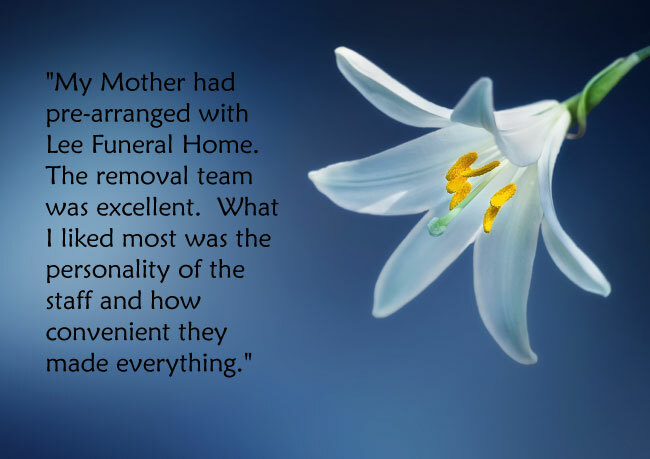 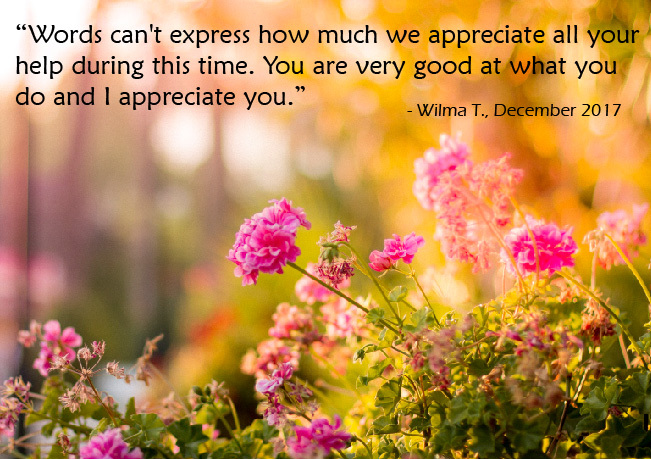 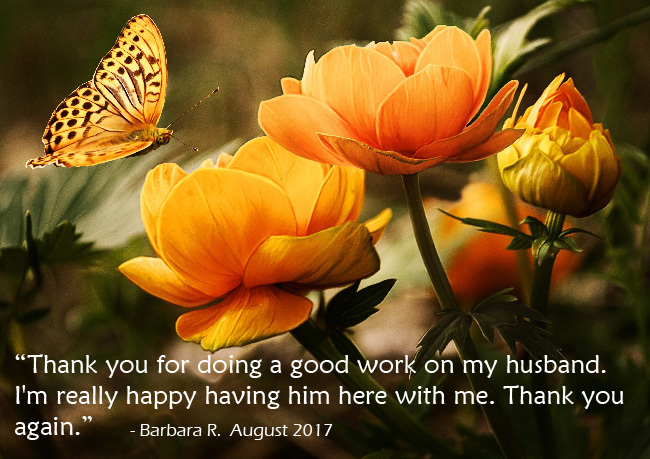 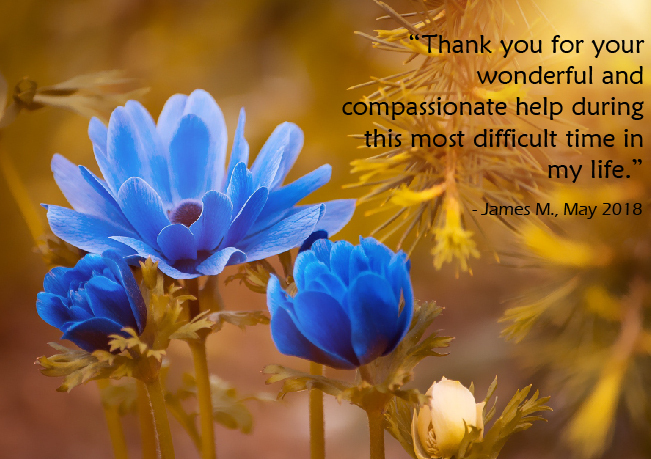 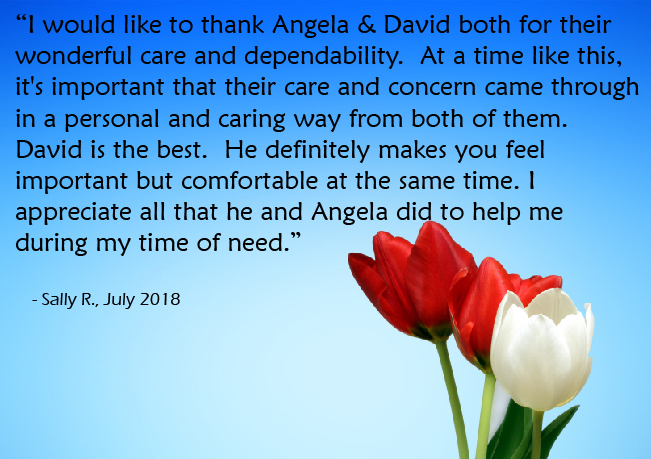 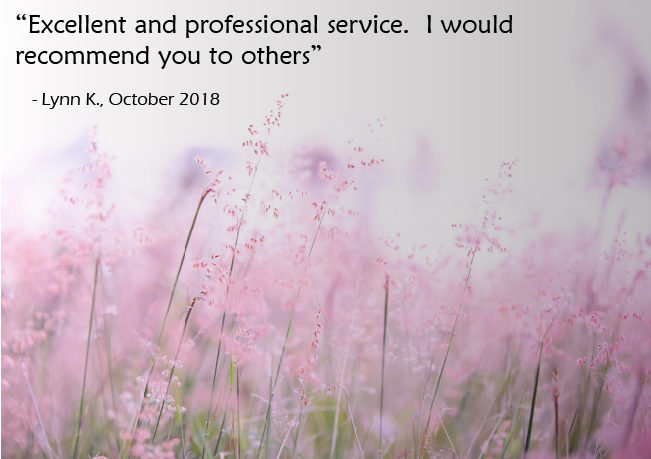 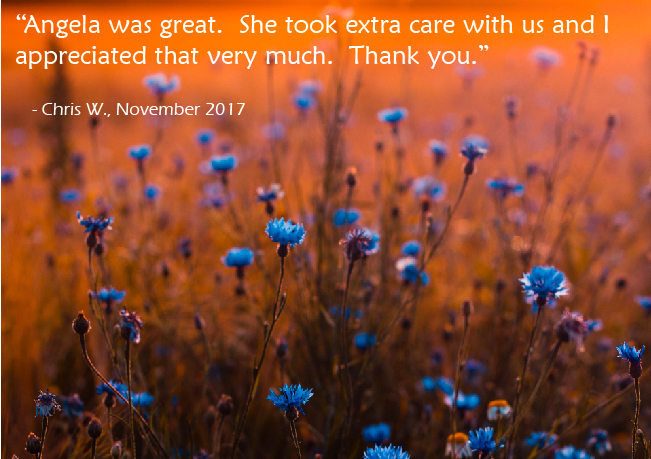 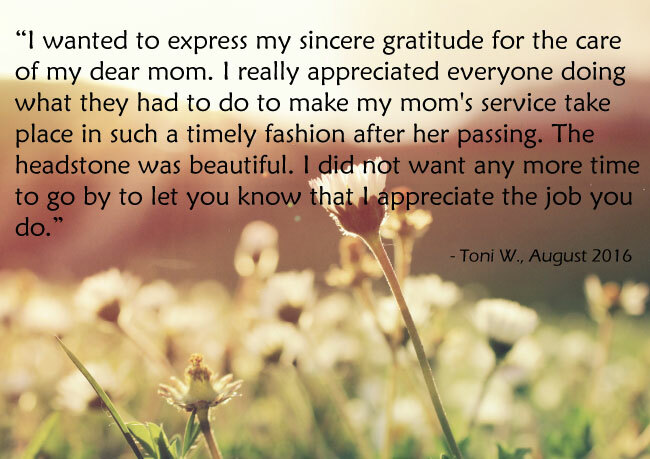 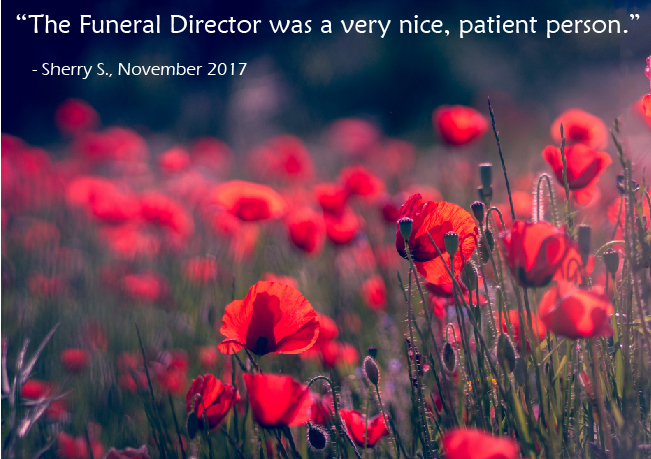 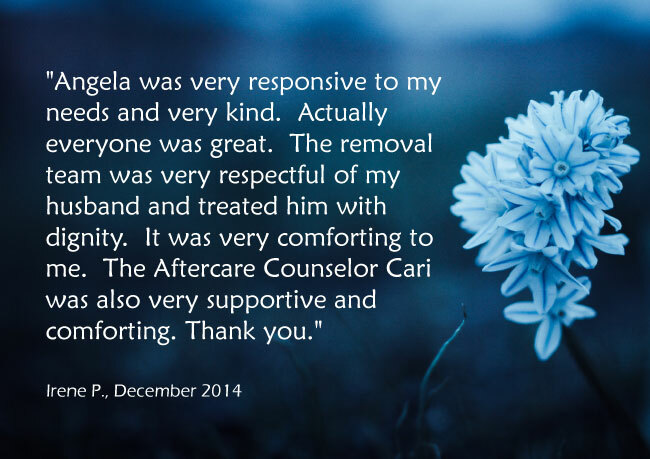 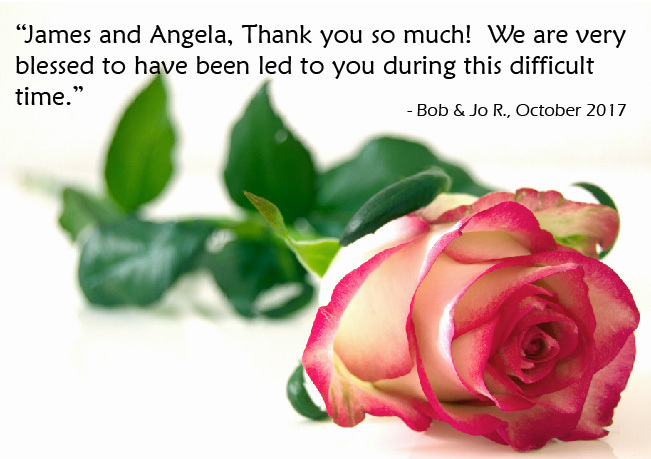 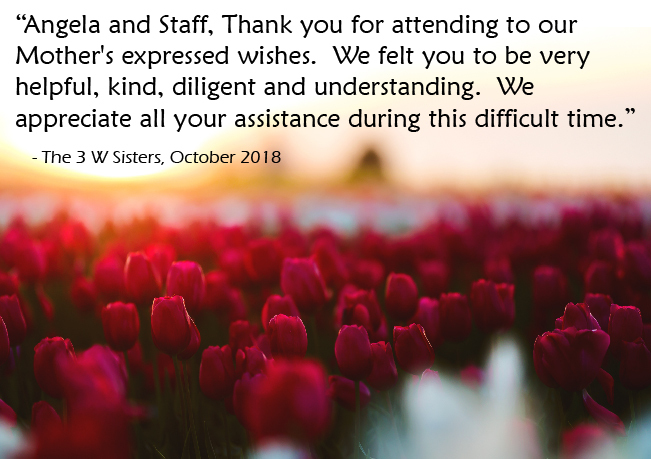 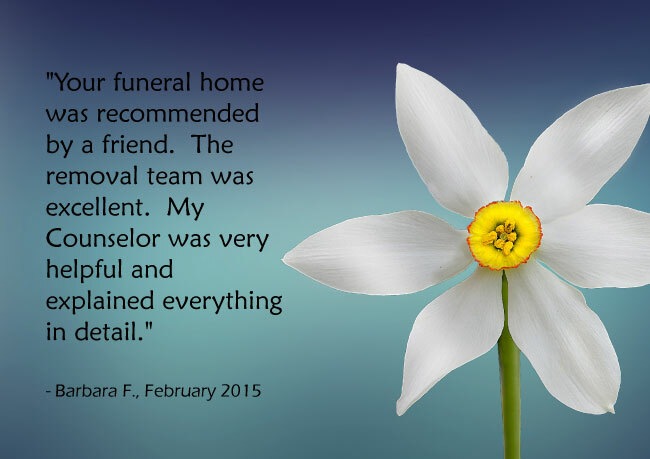 Our staff is available by appointment to help you arrange the final disposition of your loved one. 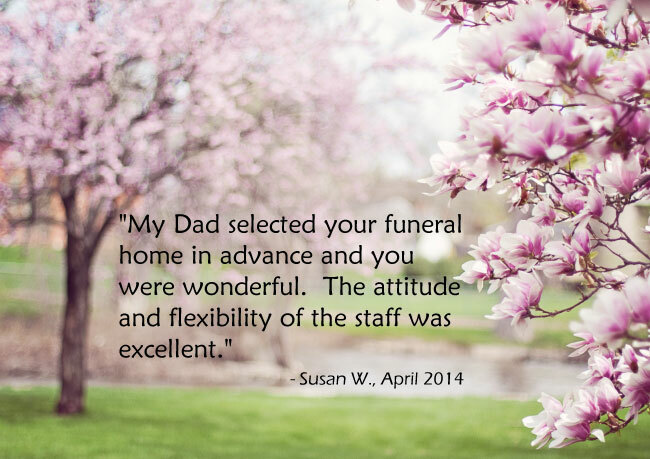 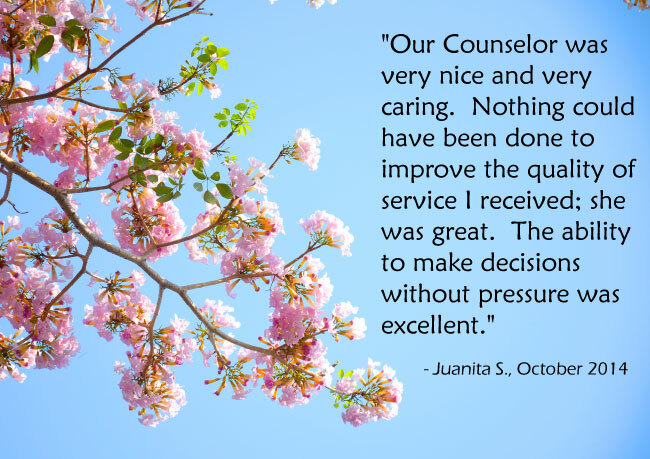 We encourage you to make an appointment so we can dedicate our time to you without interruption. 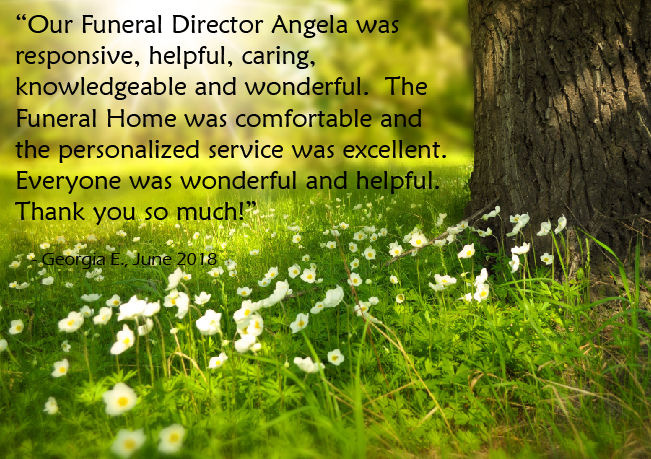 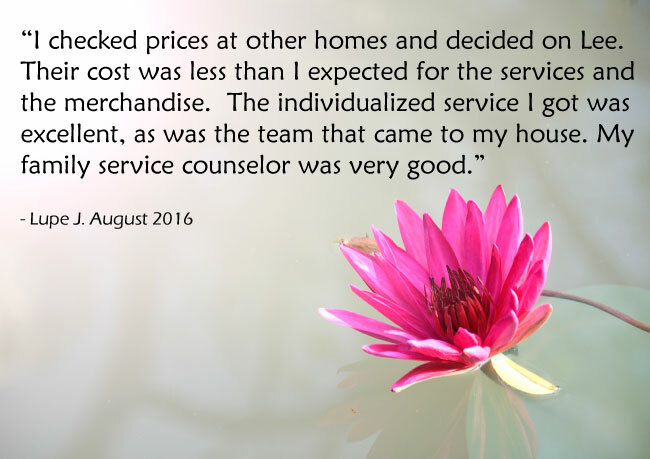 Please call (775) 727-1888 to set up a time to meet at your convenience. 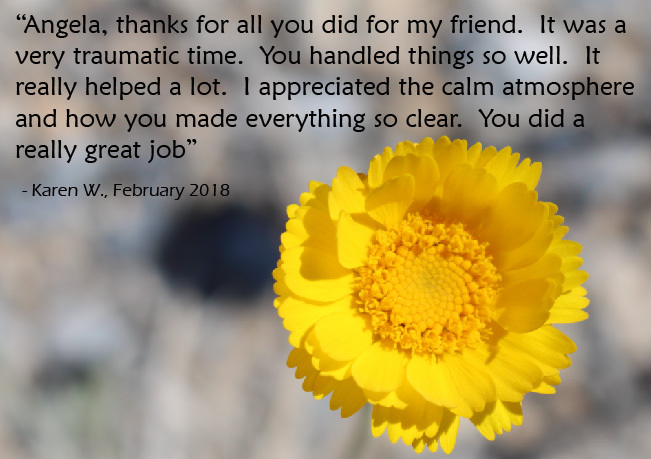 Community involvement is important to us -- we support local community programs such as Pahrump Recreation Improvements Projects, Inc and Pahrump Disability Outreach Program. 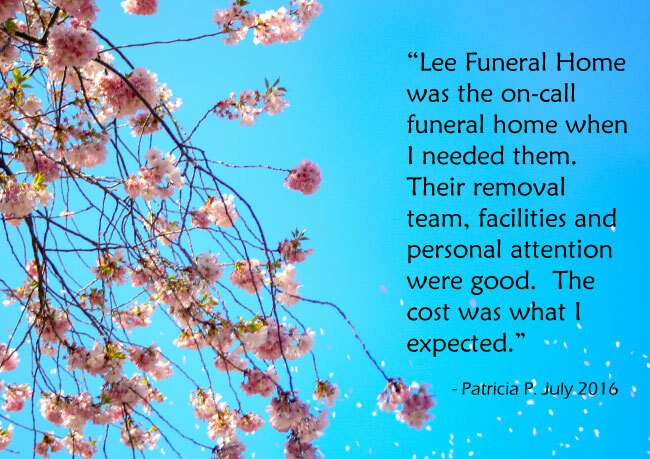 Lee Funeral Home is a Pahrump Valley Chamber of Commerce member. 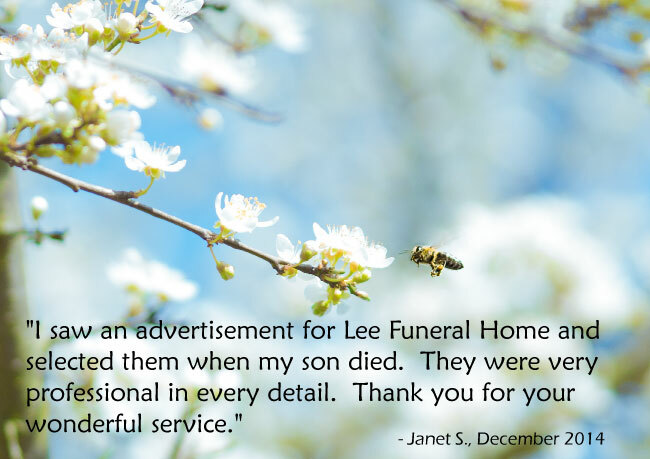 We are also an accredited member of the Better business Bureau of Southern Nevada.